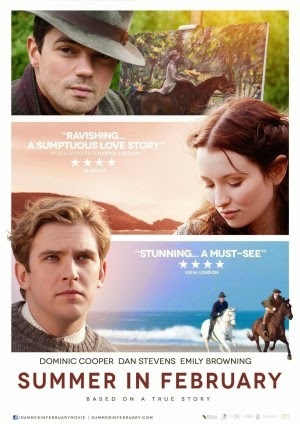 A sweeping romance set at a bohemian artist colony on the picturesque coast of pre-war England, Summer in February is based on the true story of painter Sir Alfred Munnings (Cooper) and his blue-blood best friend Gilbert (Stevens). Munnings rises to become one of the premier artists of his time, winning the affection of beauty Florence Carter-Wood (Browning). But when Gilbert falls for Florence as well, a love triangle emerges with tragic consequences. Just like the title leads you to a direction that would change your life forever as we follow these people into their lives.